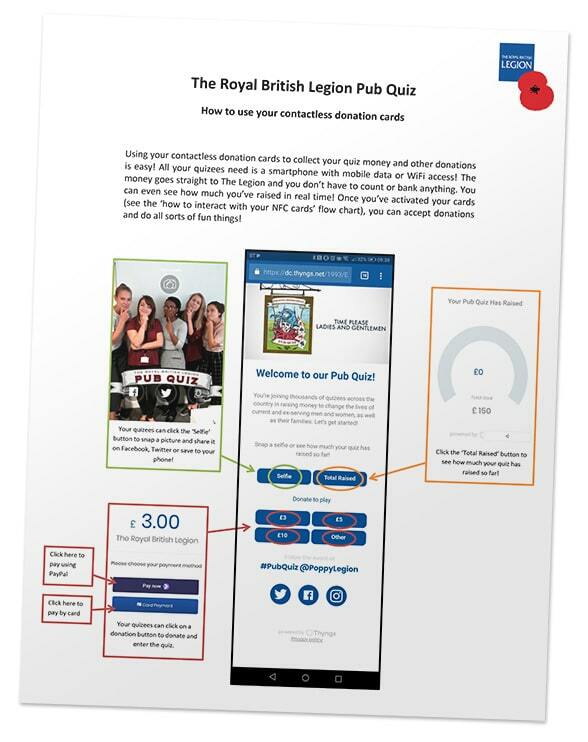 The Royal British Legion is distributing contactless cards at charity events in the UK which participants can scan with an NFC phone to be automatically directed to a website where they can make a donation using either Paypal or a bank card. 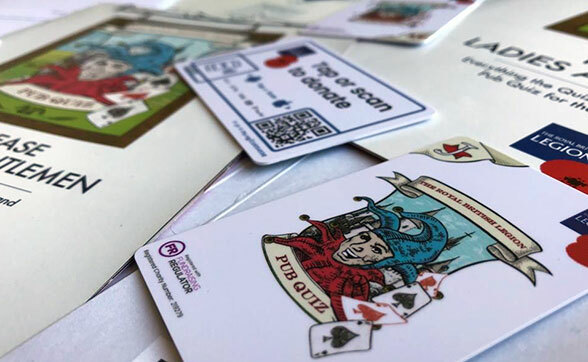 The cards, which are passed around at specially organised fundraising pub quizzes, also carry a QR code so that users without NFC can scan them. Each quiz has its own web page, where a live total of the amount raised at that event can be seen. The contactless cards and underlying platform have been supplied by Norwich-based Thyngs, a startup specialising in mobile engagement and headed by NFC marketing veteran Neil Garner.